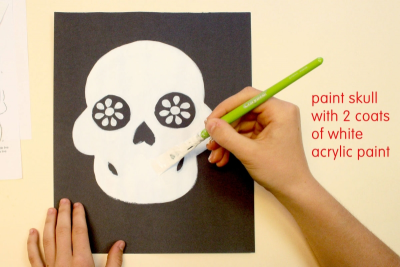 Students use mathematical thinking to draw a skull on black paper. They paint the skull white and use markers to decorate it with repeated lines and shapes typical of the designs on the calaveras de azúcar – sugar skulls given as gifts during The Day of the Dead. 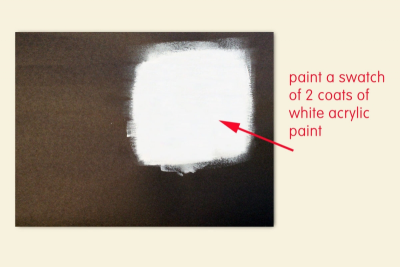 Paint a swatch of 2 coats of white acrylic paint on a piece of black construction paper. Place the paper aside to dry. Save it for later in this project. 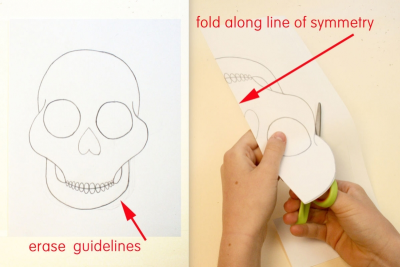 Fold your drawing in half along the vertical line of symmetry. 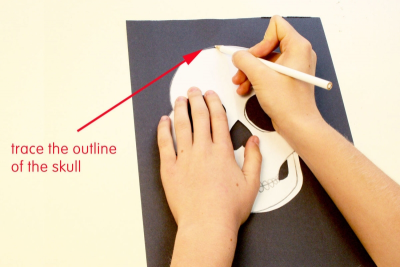 Use a white pencil to trace the skull onto a piece of black construction paper. Save the cut-out skull for later. Paint the skull with 2 coats of white acrylic paint. 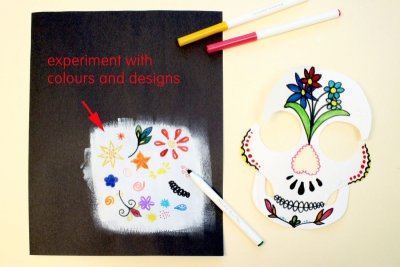 Experiment with colours and designs on the paint swatch and cut-out skull. Use the colours and patterns you like the best on your painted skull. Add glitter glue to emphasize parts of the design. From time to time look at your design from a distance to see it with fresh eyes. 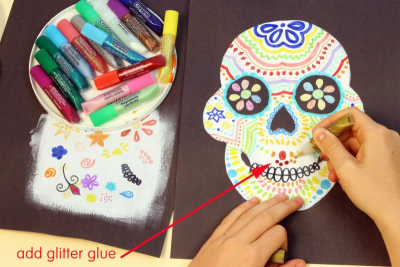 create a sugar skull design using repeated lines, shapes and colours. 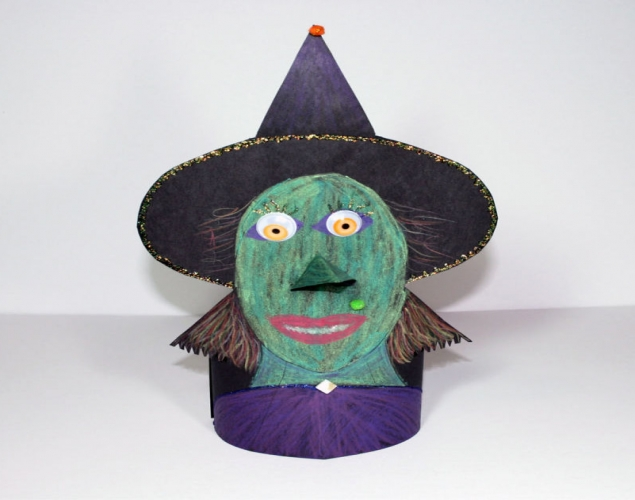 share their artwork and video with the class. Place paints and brushes in baskets for easy distribution. Place students into groups of about 6 so they can share materials. Download and display the Colour, Line, and Repetition posters available on this website. Gather, and make available, books about sugar skulls and Mexico, for example, Day of the Dead Skulls Coloring Book for Kids 1, by Nick Snels; The Day of the Dead / El Dia De Los Muertos: A Bilingual Celebration, by Bob Barner; Day of the Dead, by Tony Johnston; and Day of the Dead Activity Book, by Karl Jones, and Steve Simpson. 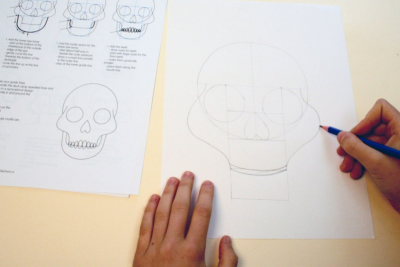 Use mathematical thinking to draw a symmetrical skull. Ask them to view the skulls and to share thoughts about the works. - Design - How does the design make you feel? Why? - Colour - What effect do the colours have on the overall design? - Pattern - How has pattern been created? - Technical Accomplishment - Where can you see that the artist has paid attention to detail? Observe students as they share and discuss their sugar skulls – active listening, insightful contributions, supporting ideas with evidence found in the artwork and from personal experience.